One of the most traumatic and grueling experiences of any person’s life would be not having his or her own child. And, in today‘s stress oriented environment, the problem of infertility or not able to conceive naturally is very common. This problem has broken down numerous families and hearts. But, for these infertile couples, the medical technology called In Vitro Fertilization has arrived as the new ray of hope. In this medical treatment, an egg from the female uterus is fertilized outside with the sperm in a petri dish. And, once the egg is fertilized and shaped into an embryo, then it is transplanted into the mother’s uterus via a catheter. We can say that that biggest advantage to IVF treatment is that it helps to create a family. Also, the treatment method can be applied to patients who have blocked tubes, PCOS, Endometriosis, etc. It has been proven to give the family a very chance of conceiving a child. 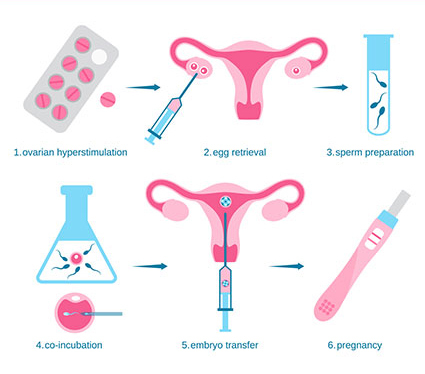 How does IVF Treatment work? The medical treatments and professionals present in India are far better and pristine, then any other country. The sole agenda of Healing Touristry is to provide childless couples imperial opportunity to experience the luxurious and highly secured medical treatment from this nation’s medical professionals. IVF treatment procedure is pretty simple, and technology used in it is very easy to understand. The whole IVF procedure can be divided into eight super simple steps. Step 1: At the beginning of the treatment, the female is walked through the procedure. She will be put on the birth control pills because they reduce the risk of ovarian hyperstimulation syndrome and also improves the rates of success. Step 2: The IVF treatment officially starts from the first day of your periods. Where your doctor will test your blood and take an ultrasound of the uterus. The blood test determines the level of estrogen and the activeness of the uterus. On the other hand, ultrasound is used to examine the size of ovaries and presence of cyst on the ovaries. If the doctor finds any problem in the ultrasound, then the doctor will treat it first before starting the IVF treatment. Step 3: The next step is to stimulate ovaries with fertilizer drugs. The doctors usually recommend taking 3-4 injections daily of fertilizer drugs. Mainly used fertilizer drugs are Femera, Follistim, and Lupron. Step 4: In the next stage, oocytes are activated for the final stage of maturation to retrieve the egg. It is very important to estimate the time for the trigger shots. The human chorionic gonadotropin injection is given when more than 4 follicles grow up to a length of a minimum 18 mm. Step 5: After 3 days of HCG injection, the egg is retrieved from her. Later, the mother is given drugs to sleep and rest their body. As after this, aspirate fluid and Oocyte from the follicle is taken from her genital via a needle. Which is required for the embryo fertilization process in the laboratory. Step 6: Later, the embryologist will examine the oocyte to test the maturation of eggs. If the egg isn’t fully matured than it is matured in the lab. Step 7: After the 5 days of the process, the embryo is transplanted to the mother’s uterus along with some useful fluids. The mother is advised to take bed rest for few hours after this process. Step 8: Lastly after the two weeks pregnancy test will be performed by the doctor. If the IVF treatment has turned out successful, then your doctor will put you on progesterone supplements for a few more weeks. 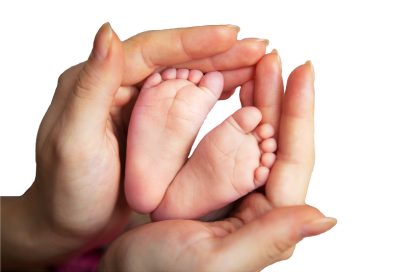 So, couples take a leap of faith and undertake the IVF treatment to feel the happiness of parenthood. Opting for an affordable IVF treatment has numerous advantages in addition to the cost effectiveness. The hospitals and clinics in India will surely help you to conceive and live a fruitful life!